In this post, I want to take a closer look at the science behind roomsharing. How does it affect the sleep of babies and parents when they sleep close or apart? How does it protect babies from SIDS? For how long is this important? What is the official advice on roomsharing? Roomsharing is associated with a lower risk of SIDS. But why? And for how long? Several studies have found that infants are less likely to die of SIDS when they are sleeping in the same room as their parents, and this is the basis of the recommendation to roomshare with your baby. This same protective effect of roomsharing has been observed in several other case control studies conducted in Scotland, England, and New Zealand (13-15). The English study found a dramatic 10-fold increased risk of SIDS associated with babies sleeping in their own room. Importantly, at least one study has shown that when infants share a bedroom with other children, it is not protective (15). Instead, the presence of an adult caregiver seems to be important. It’s important to point out that these case control studies can only show correlations, not causation, and the factors surrounding these unexpected infant deaths are complex. It’s possible that it isn’t sleeping in a separate room that is the true risk factor, but rather that families who tend to move their babies to separate rooms are more likely to have some other unrelated and unidentified risk factor. We just don’t know. Still, this is a consistent finding, and there is a plausible mechanism for protection from SIDS. How might roomsharing protect infants from SIDS? SIDS is officially defined as the sudden death of an infant under one year of age when the cause of death remains unexplained after investigation. In other words, we don’t know what causes SIDS, and it may be that there are several different mechanisms. Current hypotheses about causes of SIDS focus on respiratory and cardiovascular control and failure of arousal responses. Some factors that increase the risk of SIDS are also known to impair infant arousals from sleep. For example, preterm birth, exposure to tobacco smoke during pregnancy or after birth, and infection all decrease an infant’s arousals and increase the risk of SIDS. The same is true for infants who sleep prone (on tummy) or are formula-fed. These babies sleep more deeply and are more difficult to arouse, leaving them more vulnerable to SIDS (16). Those factors have all been subject to controlled studies of infant arousals, but we know less about roomsharing. Researchers hypothesize that babies sleeping in closer proximity to their mothers have more sensory exchange (from noises, a touch when a parent checks the baby, etc.) and thus spend more time in light sleep and have more short arousals that protect them from SIDS (14, 15, 17). These brief awakenings were probably too short to be captured by the actigraphs (which only recorded awakenings longer than 5 minutes) in the recent Israeli study, but they may have been one reason why the mothers woke more often. This brings us full circle to the problem of roomsharing sometimes compromising sleep for parents. The very thing about roomsharing that is disruptive to parents might actually be protecting their babies. How long is roomsharing important? Unfortunately, there aren’t good data on this question. Most studies that find a protective effect of roomsharing haven’t analyzed their data to specifically test if there is an age where the risk of sleeping separately disappears. To my knowledge, the only study to look at this question was published almost 20 years ago in New Zealand (15). It compared the protection of roomsharing in infants aged less than 13 weeks, 13-19 weeks, and 20 weeks and older, and found that roomsharing was equally protective in these three age groups. We don’t have data to tell us if that protection becomes less important at 5 months or 6 months or beyond. 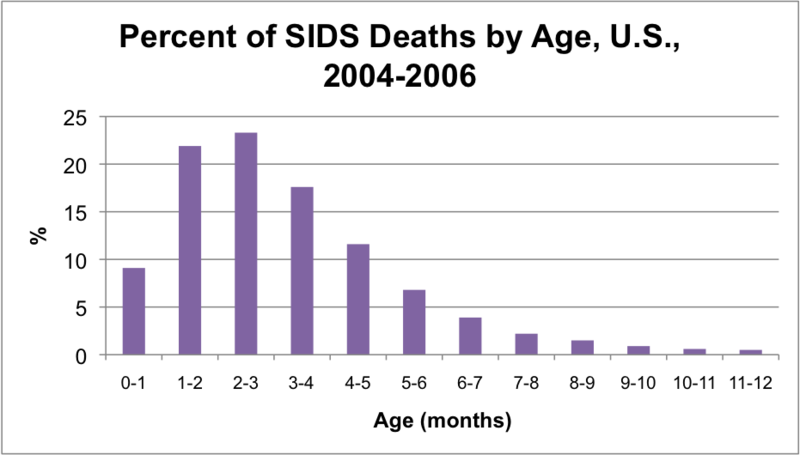 What we do know is that most SIDS cases occur between 1 and 4 months of age, with less than 10% occurring after 6 months of age (18). Any protective effects of roomsharing are probably most important in those first 6 months of life. Adapted from AAP, Technical Report: SIDS and other sleep-related infant deaths: expansion of recommendations for a safe infant sleeping environment. Pediatrics 128, e1341–67 (2011). How does roomsharing with your baby affect sleep? A study published last month in the journal Sleep Medicine is the largest and best-designed study to investigate this question (5). The study followed 153 middle-class Israeli families, all consisting of married couples having their first baby. Sleep was evaluated in the mothers in the third trimester of pregnancy and again in both mothers and babies at 3 months and 6 months postpartum. The moms and babies wore actigraphs for 5 nights in a row at each time point, and the mothers also kept sleep diaries for each night. I do not understand why, in 2015, researchers don’t care more about fathers’ sleep, but it wasn’t even considered in this study. The families in this study weren’t advised where their babies should sleep – they each made their own choices. At 3 months, most babies (76%) were sleeping in their parents’ room. At this age, 58% of infants were fully breastfed and 25% were partially breastfed. At 6 months, 50% were roomsharing; 32% were fully breastfed, and 28% were partially breastfed. Bedsharing didn’t seem to be common in this study – just 7 and 8 infants were reported to be bedsharing at 3 and 6 months, respectively. However, this was determined in a single question asking moms where the baby slept, with the following choices: (a) Infant crib in a separate room; (b) Infant crib in parent’s room; or (c) parents’ bed. I’d be willing to bet that a lot of roomsharing infants were also partial bedsharers, maybe coming into bed with parents at some point in the night, and that wasn’t captured in this study. Regardless, the paper reports no differences in sleep patterns between roomsharing and bedsharing infants, so these two groups were combined for all the data analyses. Feeding method mattered in this study. Breastfeeding moms and babies had more fragmented sleep, and babies breastfed at 6 months were more likely to be roomsharing at that age. Because of this effect, feeding method was controlled for in the analysis of sleep patterns. So, how did roomsharing affect sleep? The roomsharing moms had more fragmented sleep than those whose babies slept in a separate room. They didn’t sleep less overall – both groups of moms had an average nighttime sleep of just under 6.5 hours – but roomsharing moms woke more often and spent more time awake during the night. Their longest uninterrupted sleep period during the night was on average 2 hours and 20 minutes at both 3 and 6 months, compared with about 2 hours and 47 minutes in the moms who didn’t roomshare. Again, this difference was found after accounting for the effects of breastfeeding or formula-feeding on sleep. Does this difference in sleep patterns really matter? The researchers asked the moms to rate the quality of their sleep from 1 to 10, with 10 being the best sleep. At 3 months, the roomsharing moms rated their sleep quality a bit lower than the solitary sleeping moms (6.58 vs. 7.20, p<0.05). At 6 months, there was no significant difference in these ratings. The roomsharing moms did nap more during the day at 6 months, so that might have helped them compensate. This makes the difference in sleep quality appear to be pretty small, but it’s also important to remember that all of these measures are reported as averages. Some moms might find that roomsharing really disrupts their sleep and others not at all, so the average doesn’t tell the whole story. One interesting finding that I didn’t see reported in the news stories on this study: Roomsharing was associated with a lower risk of depression at 3 months and lower risk of anxiety at 6 months. This doesn’t mean that roomsharing directly improves mothers’ mental health – it’s just a correlation – but it is worth noting. Other studies have found the opposite – that roomsharing or bedsharing are associated with greater risk of depression (6,7). What about the babies? How did they sleep? In the Israeli study, roomsharing or sleeping in a different room actually didn’t seem to affect the babies’ sleep as measured by the actigraphs. However, when babies slept separately, their moms weren’t aware of some of their wakings. That is, the actigraph recorded some wakings that weren’t noticed by the moms, so the babies must have put themselves back to sleep without calling for help from a parent in the next room. With roomsharing, those wakings are more likely to wake the mother and disrupt her sleep. One of the big limitations of this study was that it didn’t ask moms why they chose their sleep arrangements. However, roomsharing or not wasn’t related to the babies’ sleep patterns so was most likely driven by maternal preference. Supporting that, the moms who had a harder time sleeping in pregnancy and at 3 months were more likely to roomshare at 6 months. We have no way of knowing if the roomsharing moms would actually sleep better if their babies were in a separate room. Maybe they made that choice because it was the best way for them to sleep. Maybe putting their babies in a separate room would have caused more anxiety and interfered with their sleep in some other way. 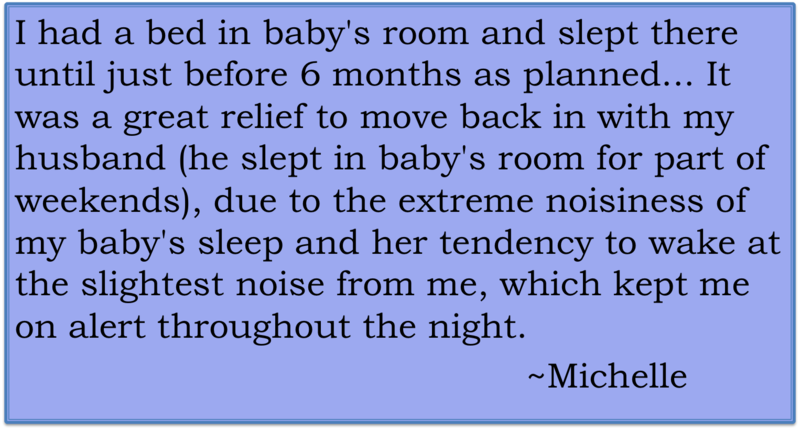 Sleep is very personal, and where a baby sleeps in a complex decision. Still, other studies, including across cultures, have found this general pattern that roomsharing or bedsharing is associated with the baby waking more often (or more noticeably) during the night, which in turn is likely to wake the parents (8-11). I also wonder how roomsharing might affect the development of self-soothing and consolidation of sleep, since sleeping separately likely gives babies more opportunities to fall back to sleep on their own after a normal night waking. The AAP recommends that parents roomshare with their babies for the first year, and at least the first 6 months, and that’s a great goal. I also think that we have to recognize that sleep deprivation is serious; it can threaten both mental and physical health and even be deadly if it causes a car accident, for example. Some parents may really struggle to get enough sleep with the baby in the room, as noted by Katherine Stone of Postpartum Progress in response to the new AAP recommendations. It’s important to be informed about the protective association of roomsharing, but if you’re struggling with this recommendation, it’s worth weighing the options with your pediatrician. For my part, I had planned to roomshare with BabyM for the first 6 months. It worked very well for the first few months, but between about 4 and 5 months, we went through a rough patch with sleep. He seemed to wake more often in response to our noises, and I was waking more listening to his noises. I had been coping well with sleep so far, but at that stage, I think I really hit a wall of cumulative sleep debt where I felt like I wasn’t functioning well during the day at all. Around 5 months, we moved BabyM out of our room. It was clear that this gave him space to do more self-soothing during the night, and he had fewer wakings that required our help. I also slept better, and it felt like our whole family functioned better. All else being equal, I knew that BabyM would have been safer sleeping in our room for longer, night wakings and all. But all else is never equal in parenting, and there could be some real risks associated with my sleep deprivation. And while there might have been a slight risk to moving him to his own room, his overall risk of SIDS at that age was very, very low, considering that he was breastfed, sleeping in a safe crib, and living in a non-smoking family. But still, after seeing the 2016 AAP recommendations, I think I would have tried to keep him in our room much longer, certainly until 6 months. That highlights how useful these recommendations can be — sometimes just having a specific guideline can help us stick to a plan even when things get tough. Moon, R. Y. & Fu, L. Sudden Infant Death Syndrome: An Update. Pediatr. Rev. 33, 314–320 (2012). Nelson, E. A. et al. International child care practices study: infant sleeping environment. Early Hum. Dev. 62, 43–55 (2001). Mindell, J. A., Sadeh, A., Wiegand, B., How, T. H. & Goh, D. Y. Cross-cultural differences in infant and toddler sleep. Sleep Med. 11, 274–80 (2010). American Academy of Pediatrics – Task Force on Sudden Infant Death Syndrome. Policy Statement: SIDS and other sleep-related infant deaths: updated 2016 recommendations for a safe infant sleeping environment. Pediatrics 138:5, e20162938 (2016). Volkovich, E., Ben-Zion, H., Karny, D., Meiri, G. & Tikotzky, L. Sleep patterns of co-sleeping and solitary sleeping infants and mothers: a longitudinal study. Sleep Med. 16, 1305–1312 (2015). Countermine, M. S. & Teti, D. M. Sleep arrangements and maternal adaptation in infancy. Infant Ment. Health J. 31, 647–663 (2010). 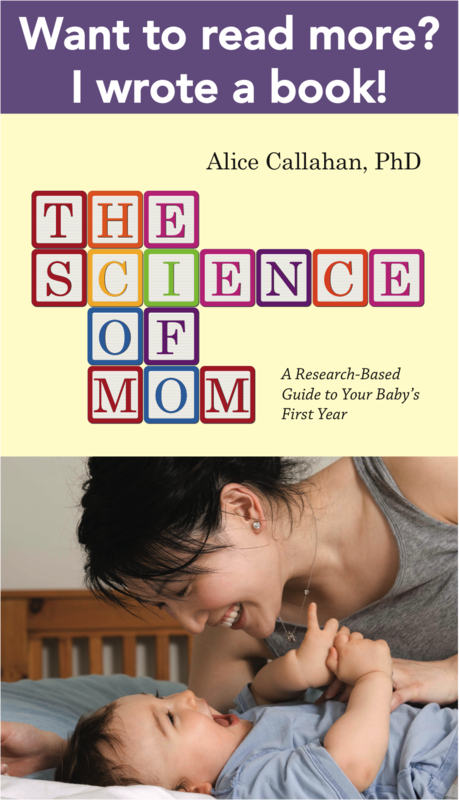 Teti, D. M., Crosby, B., McDaniel, B. T., Shimizu, M. & Whitesell, C. J. Marital and emotional adjustment in mothers and infant sleep arrangements during the first six months. Monogr. Soc. Res. Child Dev. 80, 160–176 (2015). DeLeon, C. W. & Karraker, K. H. Intrinsic and extrinsic factors associated with night waking in 9-month-old infants. Infant Behav Dev 30, 596–605 (2007). Mao, A., Burnham, M. M., Goodlin-Jones, B. L., Gaylor, E. E. & Anders, T. F. A comparison of the sleep-wake patterns of cosleeping and solitary-sleeping infants. Child Psychiatry Hum. Dev. 35, 95–105 (2004). Scragg, R. K. et al. Infant room-sharing and prone sleep position in sudden infant death syndrome. New Zealand Cot Death Study Group. Lancet Lond. Engl. 347, 7–12 (1996). Franco, P. et al. Arousal from sleep mechanisms in infants. Sleep Med. 11, 603–614 (2010). McKenna, J. J., Ball, H. L. & Gettler, L. T. Mother-infant cosleeping, breastfeeding and sudden infant death syndrome: what biological anthropology has discovered about normal infant sleep and pediatric sleep medicine. Am J Phys Anthr. Suppl 45, 133–61 (2007). American Academy of Pediatrics – Task Force on Sudden Infant Death Syndrome. Technical Report: SIDS and other sleep-related infant deaths: expansion of recommendations for a safe infant sleeping environment. Pediatrics 128, e1341–67 (2011). My daughter is STILL in my room. Though she goes to her room once she falls asleep. Health Canada and the Public Health Agency of Canada recommend room sharing for the first six months. 9.5 months later, we still room share but my baby is a quiet sleeper and I don’t feel like I am sleep deprived. I consider myself lucky! I think it depends on the parents. My husband and I have slept with our son since his first night home. We find that this is a lot easier to wake up and feed. I was scared that my husband and I would hurt our baby while we slept but the truth is we both sleep on the edges of the bed! My son takes up almost all of it. I guess I can say that with us, paternal instincts kicked in and we are grateful. I think it’s also the fact that our baby is such a good baby. In the end, I can only pray to God that I wake up next to my wonderful son giving me his beautiful smiles. We bed share, but we did not plan on it. In fact, we were against it initially. When we first brought our daughter home from the hospital, our plan was that I would sleep in her room so that my husband can get sleep to be most alert for work. 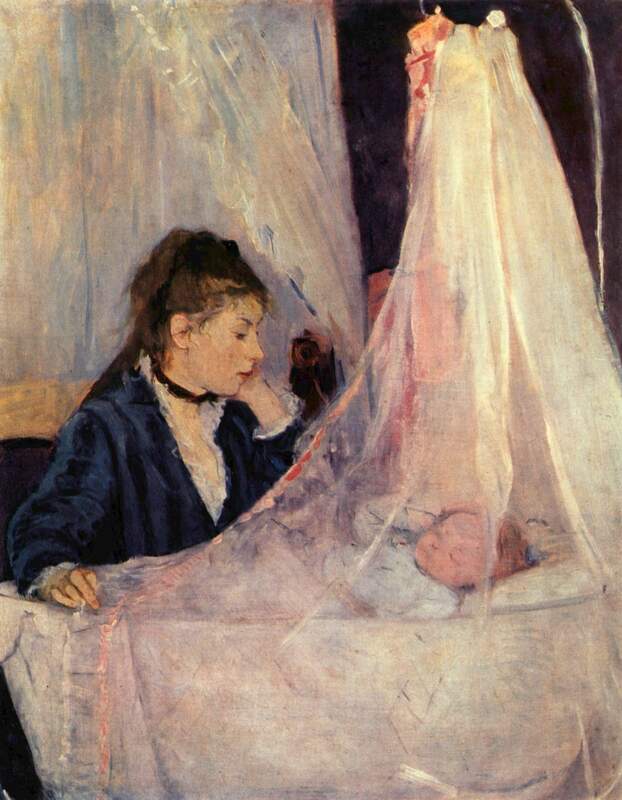 I slept next to her bassinet but I got no sleep! She would fall asleep in my arms but would wake up royally peeved that she was in her bassinet. It would take me forever to get her back to sleep but by that time, I’d be wide awake. The few times I did get sleep, it was when I’d fall asleep nursing my little one in the laid back position, but is freak out because 1) she was asleep on her tummy! And 2) isn’t bed sharing a no-no? In my hormonal sleep deprived state, I broke down a few times in some ugly cries and a couple of weeks later, I moved back into the bedroom with the baby because on top of it all, I missed my hubby and it was the one thing I could fix. At this point, I don’t know when we will kick our little one out of the bed or out of our room. I suppose it would depend on how long I plan to breast-feed and when she starts sleeping to the night (she is on the cusp of seven weeks old). I admit that as much as I love having her close to me, I miss sharing a bed with hubby only. But if being enclosed proximity to the baby at night will prevent SIDS, then I’m willing to do the full six months. 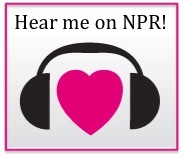 I’m sure your story sounds really familiar to many readers! It’s so tricky, especially in those first few weeks when everything is so overwhelming and a little desperate. It can feel like there are so many rules about sleep, and that simple “roomsharing without bedsharing” might feel impossible. With bedsharing, there are definitely more safety considerations, especially for really young babies. I wonder if there are some aspects of bedsharing that are protective, because of that close proximity, lighter sleep, more arousals, more feedings, more checks, etc – but unfortunately there is no epidemiological evidence for this. My guess is that there are also risks to bedsharing, and on balance, the way bedsharing is practiced in Western cultures today, those risks end up outweighing the protection. So, I’m sure you know this, but do your best to make it safe. (I don’t agree with everything he writes, but I like James McKenna’s safety recommendations for bedsharing – http://cosleeping.nd.edu/safe-co-sleeping-guidelines/) Regardless, I think you’re absolutely right that bedsharing with all the safety precautions is far safer than you and your husband falling asleep accidentally in unsafe environments with the baby. I’ve been there, and so many of us have! If your goal is to get your baby back in her own bed eventually, you can try to work on this gradually – for example, by putting her in her bassinet for the first sleep period of the night, and maybe the second, and then taking it from there. Best wishes to you and your family! In The Netherlands they (midwives, doctors, health organisations etc..) recommend 6 months of rooming in. However, not a lot of parents do this and it’s very common here to have the baby in their own room in the first week. Rooming in, cosleeping or bedsharing isn’t really talked about openly, because it still forms a bit of a taboo and you’re considered being a complete hippy and helicoptermom. Very interesting, thanks for sharing this! Is there much emphasis on SIDS prevention in the Netherlands? Not really, unfortunately. I am Dutch but live temporary in the United States and had my first baby here last year. Of course I discussed numerous items with my friends and family overseas during and after my pregnancy and fell sometimes like a smarty pants. SIDS was one of those items I fell that not many parents in the Netherlands were as good informed as I was by my OB. My nine month old baby still sleeps in her own crib in our bedroom and we don’t plan to change this until she turns one year. It gave me reassurance the first couple of months and now I just love to see her face popping up when she wakes and stands in her crib! In Germany, for a safe sleep environment the official agency for health recommends roomsharing without bedsharing but they don’t mention for how long. Further, they advise to let the baby sleep in a supine position and to provide a room temperature between 16°C and 18°C (61°-64° F). Above all, they advise to let the babys grow up in a smoke-free environment in order to prevent SIDS. I’d really love to see research done on the breathing monitors like angelcare. We used one while room sharing. Yes, it went off when we forgot to turn it off while picking him up in the middle of the night, but that annoyance was a small price to pay for the one time that it went off and he really did have a problem. The warning beep got me up and over to him fast enough to see he wasn’t breathing, but the alarm went off and startled him and he took a breath. It was like he just forgot to breathe for a second (it was literally seconds). Would the monitors allow for the best of both worlds? I think we would need certified installers though because there are a lot of ways that people can mess up the install. We had the same experience as your reader Katherine. 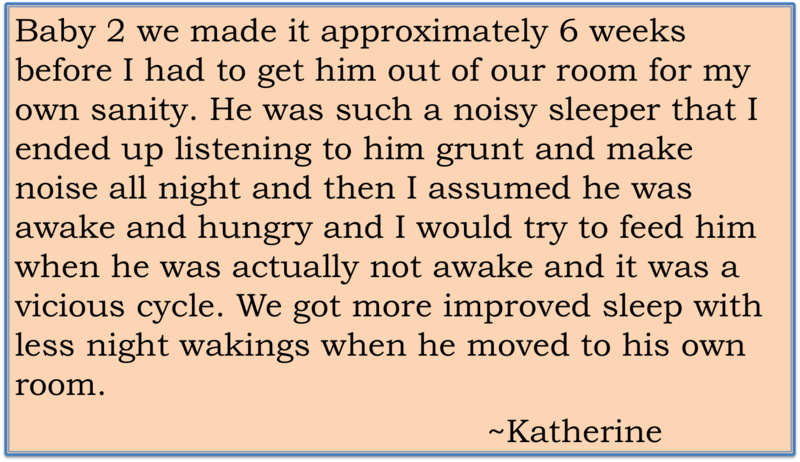 We roomed in, but our son was such a noisy sleeper, that it kept me up. Also, because we were inexperienced with babies, we frequently thought he was awake and needed a nocturnal feed when in fact he was just snorting, sighing, etc., and we actually ended up waking him up by feeding him. Then of course he started waking for food on his own, which he might not have done if we hadn’t kept waking him up! Regardless, we moved him out of our room for our own sanity by 3 months, although by that time he would wake and cry for food. Still, it was better than being kept up ALL night! Btw, we were in Denmark, and the midwives recommended rooming in with a crib or bassinet but weren’t adamant about it. Because a nurse comes by for regular home visits in the first weeks, s/he can have a look at the sleeping arrangements and make recommendations/answer questions on the spot. I find it interesting that the countries with strong post natal leave polices are also the ones recommending room sharing. Perhaps, if you don’t have to go back to work at 6 weeks, then you can afford to compensate by napping during the day. My daughter slept in a cradle in our room during the night until just before I had to return to work. Because her bedroom was downstairs, she slept in her own crib for all naps from the time she was 3 days old. This arrangement made it really easy to transition her to sleeping the night in her crib – it was just a longer nap. We also heavily relied on the video monitor for naps and night sleep. It allowed us to determine if the noises were her being restless or actually waking up. Even though she would wake me up with her snuffling and rolling, I was able to get back to sleep in 5 to 10 minutes. I would love to see a follow up on the Israeli study to see what the sleep patterns of the children and mothers are in two years, five years, etc. I wonder if we mothers train ourselves to bad sleep that doesn’t truly go away even as the child leaves for college…. Interesting to wonder about the relationship with family leave, although it’s hard to compare since few countries have policies as poor as the U.S.! And roomsharing is recommended here, it just doesn’t seem to be emphasized much. Though with my current studies on infancy and toddlerhood, studies suggest that co-sleeping helps nurture the child and provide security for the child. I think that roomsharing often leads to at least partial bedsharing. That works find in some families, and in others not so much. But I also think that children’s needs at night can evolve. We went through a period with Cee when she was 3 and she came in our room a lot at night (after sleeping in her own room just fine since she was an infant). I couldn’t sleep well when she was in bed with me, so we made a cozy pallet on the floor for her and told her she was welcome to move there during the night if she wanted to be closer. She used it for a while and then eventually stayed in her own bed again. It helps to be flexible, while also considering the needs of both the child and the parents! There actually aren’t good studies that show that cosleeping in necessarily better for emotional development of the child. That’s a common assumption, but it’s probably true in some families and not others. What’s most important is that you find an arrangement that works well for the family. For example, if a parent is cosleeping because she thinks it will increase her bond with the child or make him feel safer, but she’s so sleep-deprived that it is affecting her mental health and ability to nurture the child throughout the day and night, then it probably isn’t the best choice! I used to have my son sleep in the same room with us but in his own bed but at 6 months i decided to co-sleep so that we could bond. Now I know that it will be a hustle to make him sleep in his own bed and room. He is now 15 months old! Thank you for this post! I just started to wonder how we will proceed with sleep arrangement later when baby won’t wake up for night feedings. At the moment we’re shy of 3 months and roomsharing – baby’s crib is placed at our bed with one railing off so in fact it’s like extension of our bed, thus I can pat him or shush him during the night without getting up, and start to arrange diaper change and feeding before he’s worked up himself to crying. The downside, of course, is that I’m waking up more often than necessary when he’s grunting and squirming but not actually awake.Then I check the clock and see whether it’s time for his night feeding or not (he’s combo fed and has 2 night feedings – one with breastmilk only, one with breast and bottle). We had a few bedsharing episodes in first weeks when I was desperately trying to nurse him to sleep and passed out myself, waking up in horrible feeling that baby is under my blanket (he was not, what I thought to be baby’s head was actually my engorged breast…). This scenario repeated a few times until pediatric nurse advised to get a pacifier or I will regret it later. It worked like a charm, and now we’re able to put him in bed easily, sometimes even without pacifier. Now I’m worried that we’re not with him during his first deep sleep phase which could be a risk for SIDS but he’s getting to bed at 7 PM and we have things to do during those few hours until we’re going to bed too. Have bought monitor but not used it yet because we keep our bedroom very dark and monitor would not pick up quiet sounds anyway. If we’re going to put baby in separate room we’ll work on that. I LOVE this line. Nothing sums it up better for me. We roomshared with our first three for about 3-4 months, but always moved them into their own rooms about the time I was heading back to work. That was when the sleep for mommy balance began to come into play. We plan to do the same with the one we are expecting this month. I enjoyed reading this post- as always! It makes me feel like I’m not alone, and that the decisions that are right for me are still ok even though they may not be right for others. Thank You! We only roomshared for the first 5 or 6 weeks. Due to constrained space, however, we converted our master closet into a mini-nursery. In many ways it is the best of both worlds because he is close enough that we can hear just about everything, but there is also a door to close so everyone immediately started sleeping better once he moved into the nursery (closet). At 3 months, our baby is sleeping an 8-11 hour stretch every night so it is usually us waking up to check on him rather than him waking us up… I do think the little bit of separation allowed him to learn to self-sooth very early. He also developed his own version of cluster feeding where starting at about 4 pm, he begins nursing frequently until he goes to bed. As if he is getting ready not to eat for a long period.I can’t discount genetics and temperament, though – according to my mother-in-law, my husband was an amazing sleeper as an infant. Her second son was just the opposite. Before my son was born, we always said he would have his own room from one month old. However, due to his illness in the first 3 months, this did not happen. Once his dietary intolerances where discovered and he started to get better, he went to the nursery. Initially this was great, but after about 2 weeks, I was exhausted! I found it very difficult to drag myself out of bed and to his nursery; and due to my hubby sleeping right through, I was on my own for this! So, I persevered and kept telling myself that he will sleep through soon! … still waiting for those through nights (a myth I am sure) at 6 Months, and having moments of insanity rocking myself on the bedroom floor, Alan decided it was time to move the cot to our room! Alan still sleeps through Charlie’s wakes, but I find myself to be far more rested as I only have to walk 2 meters to assist Charlie… not to mention the fact that I can now get to him before he wakes up properly so it is far easier to get him settled again! We chose to room share till 7 months. We wanted to move him at around 5 months due to sleep deprivation but we had just bought a house so we waited till we moved and were settled in which was right around 7 months. All of us including baby are getting much better sleep. He is now 8 months old. My next baby I plan on moving around 5 months but he or she could be different so we’ll see! Btw, my cousin is Amber Yui and she recommended your blog. I’ve really enjoyed reading your posts! Since you asked your international readers to comment – cosleeping (sharing the room) in many countries is not necessarily a choice but a necessity. Many European apartments are fairly small and having a luxury of multiple children each designated to their own room is not something many can afford. My daughter is now 12 months old. In the beginning we had a bednest- the best of all worlds! or so we thought. She absolutely REFUSED to be put down for the first 12-16 weeks or so. The birth was traumatic and left her head feeling quite ouchy I think. So I ended up holding her 24/7 (except for when my hubby would give me a break) for those first 3-4 months, which meant bedsharing (right next to the lovely bednest! She just wouldn’t be out of arms, no matter how close. She eventually moved to sleeping in the middle of our bed and no longer in arms. At around 5 months she started to have some success sleeping in the bednest with the help of a Sleepyhead (god bless it! ), and she would sleep about half the night in her own space and then come into bed with us. Then at 6 months she moved to a cot still with the sleepyhead, and by 7 months had outgrown the sleepyhead. She would come into our bed around 3am most nights, and when she started nursery at 9 months she ended up back in bed with us full time for about 6 weeks (loads of fevers and attachment issues with starting nursery.) Then, MAGICALLY, around 11 months old she started sleeping full time in her cot (which is right next to our bed). It’s been about 4 weeks now without bedsharing. I should note that she has been breastfed the whole time, and is still offered night feeds when needed. The first 6 months or so she would feed through the night while sleeping next to me. I don’t regret any of the bedsharing. I think it made her feel safest, and allowed the family to get the most sleep possible. She moved to her own space when she was ready, and I’m glad I never forced her. Maybe you talk about this somewhere else on your blog, but….I didn’t know formula fed babies sleep deeper than breastfed babies. Do you know why that is? In Ireland health professionals recommend rooming in for a MINIMUM of 6 months. The majority of parents do this with many sharing for up to a year or more. Our little girl is 7 months and is still in with us.